It is estimated that nearly 17% of the world’s population plays video games and that nearly 44% of the entire online population plays online games.1 With countless networks dedicated to gaming, individuals are spending more time on video games than ever before. As a result, video game recovery programs have sprouted and become more common in the United States. What video game addiction is. How to find the right treatment program. Lying about the time spent playing games. Lying in order to play games. 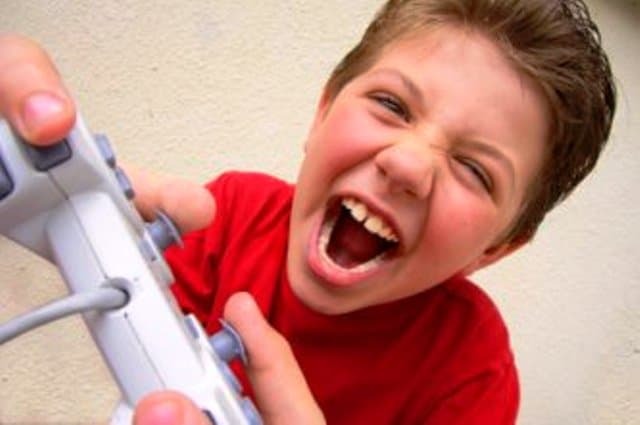 Irritability or anger when not playing video games. Inability to concentrate on outside activities due to constant thoughts about games. Using games to avoid emotional, financial or relationship problems. Giving up other interests to pursue gaming. A major concern with many behavioral addictions is getting the person to admit that he or she has a problem; it’s even more of a concern with video game abuse because many people see nothing wrong with excessive game play. Video games don’t tend to lead to jail time or illegal activity, for example, which is often an indicator that someone has a serious problem. According to experts, video game addiction is far from harmless. Too much game time inhibits development in other areas of life. Someone who spends hours gaming every day in childhood can fail to develop important life and social skills; adults who develop a gaming addiction may not fulfill work or relationship obligations, which can put their families or careers in jeopardy. Who Answers? now for information about video game recovery program or other options for help in your area. Video game detox tends to follow the procedures found in most inpatient detox programs, but not all centers targeted to drug or gambling addictions are suitable for someone struggling with video game use. As recognition of video gaming addiction becomes more prevalent, it is easier to locate a video game rehab center in your area. Until then, you may be able to find a facility by talking to your doctor, a therapist, or staff at a local rehab center. One major difference between drug or other addiction programs and treatment for video game addiction is that it’s extremely difficult to avoid the main trigger for many gaming addicts: the computer. Facilities and counseling organizations that treat such an addiction should be capable of educating an addict on how to handle daily computer use without slipping into video game abuse. Ask about counseling and other methodologies when you are considering a treatment facility; make sure the staff is not simply recycling alcohol or drug abuse protocols without making appropriate changes to address video game addiction. Other common concerns when seeking treatment include social ramifications and finances. If video gaming is ruining your life, you shouldn’t worry about what your friends may think if you seek treatment. Anyone who encourages you to keep playing games despite the fact that gaming is ruining your relationships or career is an enabler in your addiction. Taking time away from such individuals in an inpatient treatment center may be the best possible course of action. Paying for treatment or rehab can be a big concern, especially because some insurance companies don’t recognize video game addiction as a diagnosis at this time. Staff at a behavioral health facility may be able to work with case managers at your insurance company to arrange coverage. In cases where no coverage is available, ask about payment plans or financial assistance programs. Many local and state governments set aside funds for this type of assistance, and you should let the rehab facility staff know about such opportunities to assist you with applications. Do not let financial concerns keep you from treatment that can turn your life around. Don't delay if video games are ruining your life!
. SpilGames. (2013). State of online gaming report.